It is well known that Akkineni Akhil’s debut film ‘Akhil’ is being produced by actor and producer Nithiin. The regular shooting of the film is nearing completion and Nithiin is making all possible efforts to make the film a perfect launch pad for the third generation star from the Akkineni family. In the meantime, Nithiin will test his luck at the box office with the release of his much delayed film Courier Boy Kalyan. The film, which was directed by Premsai and produced by Guatham Menon, will hit the screens today ( September 17th). 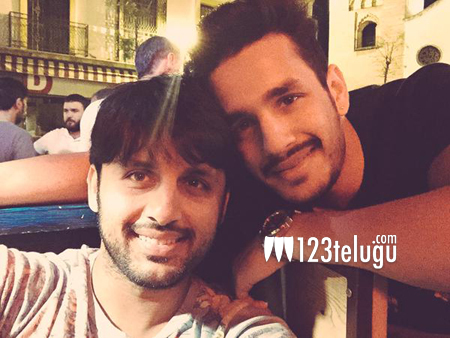 Akhil took to Twitter and wished Nithiin all the best for his film. He expected hopefully that Courier Boy Kalyan becomes a milestone in Nithiin’s career.